Who doesn’t love a summer barbecue? With the weather warming up, you may be thinking about firing up the barbecue for some outdoor cooking. But how long has it been since you last checked your barbecue? Don’t risk burning more than the sausages – check out our tips for keeping the barbecue in safe working order. Use baking soda to control grease fires. To reduce flare-ups while cooking, trim excess fat from meat, replace greasy barbecue beads and keep barbecue clean. Use long handled utensils and flame retardant mitts to avoid burns. When transporting a cylinder, ensure it’s in an upright position. Never use or store LPG cylinders indoors. Do not attempt to repair any cylinder, which is rusty, dented, gouged or out of test date. Damaged or out of test cylinders cannot be refilled. Checking the level of gas in your barbecue cylinder is a simple process, meaning you should never get caught short again. Boil water in a kettle and allow to cool slightly. After ensuring the cylinder is turned off, gently pour the water down the side of your gas cylinder. After approx. 15 seconds, carefully feel the cylinder from the bottom up. The steel will feel cooler below the gas level, and warmer above it. 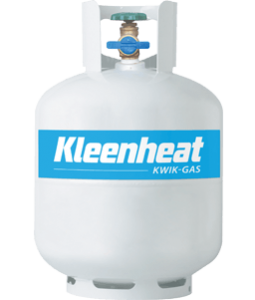 The level of gas inside the cylinder is at the point where the temperature changes. Turn all appliance controls to ‘OFF’. Ensure cylinder is upright and the valve is turned off before removing the valve’s blue safety plug. Remove both tags marked ‘PULL’ on the valve’s blue safety plug and unscrew the safety plug using a flat blade screwdriver or coin in a ‘CLOCKWISE’ direction – keep plug for future use or when cylinder is being stored or transported. Insert appliance hose into the cylinder valve and screw in an ‘ANTI CLOCKWISE’ direction to connect. Turn the cylinder valve on, one complete turn will suffice. Test for gas leaks by applying a soapy water solution all over cylinder valve and appliance hose connection. If a leak is present, bubbles will appear and a “rotting cabbage” like smell may be detected. Re-tighten the appliance hose and test with soapy water again until there are no gas leaks present before using the appliance. If leaks persist, do not use the appliance. Turn cylinder valve off when appliance is not in use. It’s pretty simple! You take your empty cylinder to the shop or petrol station, leave it with them and take a full one in exchange. When it’s empty, you can either keep it and have it refilled or swap it again for a full cylinder.